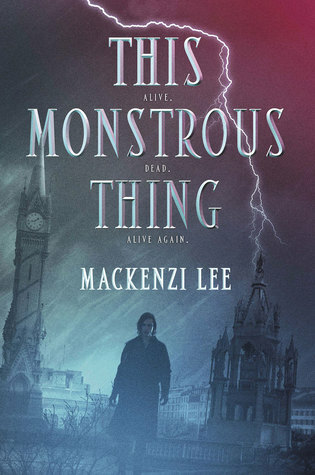 This week on WoW is This Monstrous Thing by Mackenzi Lee. I added this book to my wishlist when I was reading Frankenstein for a literature course - however, I did not finish it. I couldn't get into the story; specially after watching Penny Dreadful. But I'm hoping to enjoy This Monstrous Thing because the summary caught my attention (I want to know more about the Shadow Boys). The book will be released on September 22nd. "In 1818 Geneva, men built with clockwork parts live hidden away from society, cared for only by illegal mechanics called Shadow Boys. Two years ago, Shadow Boy Alasdair Finch’s life shattered to bits. His brother, Oliver—dead. His sweetheart, Mary—gone. His chance to break free of Geneva—lost. 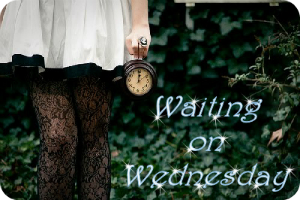 Heart-broken and desperate, Alasdair does the unthinkable: He brings Oliver back from the dead. Then comes the publication of Frankenstein and the city intensifies its search for Shadow Boys, aiming to discover the real life doctor and his monster. Alasdair finds refuge with his idol, the brilliant Dr. Geisler, who may offer him a way to escape the dangerous present and his guilt-ridden past, but at a horrible price only Oliver can pay…"
Enter to win "The Ones We Trust"
Sounds like a good Gothic/steampunk novel!